Products purchased from Chemist Warehouse (in Australia). Once upon a time when celebrities came out with their own beauty, skin care & fashion line, many weren’t involved in the conception stages and just watched the money roll into their bank accounts, just for having their names attached. Nowadays, most celebrities want to be involved in every development stage of the their product, and are savvy to know, that most consumers do take notice if they are actually involved or if they are only just linked to a product because of their name. Natalie Imbruglia, a well known and famous Australian actress and singer, has joined the skin care market by introducing, ‘ILUKA Skincare by Natalie Imbruglia’. The name ILUKA comes from the indigenous people of Australia, which means ‘by the sea’. These products promote natural ingredients such as Green Tea, Chamomile, Mauka Honey, Kakadu Plum, Marine Collagen and Aloe Vera to name a few, and are also made in Australia. Now, when I first started with the Gentle Foaming Cleanser, I will say that I was quite disappointed at first after I had squeezed a small amount into the palm of my hands. The liquid came gushing out (its extremely clear) and ran all over my hand, between my fingers and just made a mess all over my bathroom sink. Once I applied the product onto my face, gently rubbing it all over my face, it didn’t foam up as I had hoped and expected. I decided to try again, but this time I shook the bottle (obviously with the lid back on tight!) and it appeared to do the trick. I squeezed a small amount into the palm of my hand, and found that this time the product appeared to be a little bit more thicker and the color was white now. Also it foamed up a little more after I gently rubbed it on my face. To compare both, I then tried the Nourish Cream Cleanser. Obviously its thicker, with it being a cream but I found that it did more for me than the Gentle Foaming Cleanser. I added a little water and just saw a huge difference. Once I washed the cleanser off, I found my skin feeling so clean and refreshed. Pretty much I was glowing, and my skin looked hydrated as well. Both products have a really gentle and lovely aromatic smell. I actually started using both cleansers daily. Used the Gentle Foaming Cleanser in the morning, and then the Nourish Cream Cleanser at night. My reasoning for this was, by using the Gentle Foaming Cleanser in the mornings it felt like it woke up my skin and made it feeling so refreshed. And with the Nourish Cream Cleanser at night, I felt it gave my skin the nourishment it needed throughout the night, as it restored and rejuvenated it. I can tell you after three weeks of doing it this way, I actually saw a difference with my skin. After cleansing my skin, I sprayed the toner around my face and neck. I swear I felt my skin just drink it in, feeling so hydrated and refreshed. After a month of using IKULA Skincare by Natalie Imbruglia, I have to say I fell in love with the products and I really am impressed with what Natalie Imbruglia has come out with and really can’t wait to see more from her. I do highly recommend and urge you to go out, and try these products for yourself. * Please note that these products have been trialed at my own expense and free will. 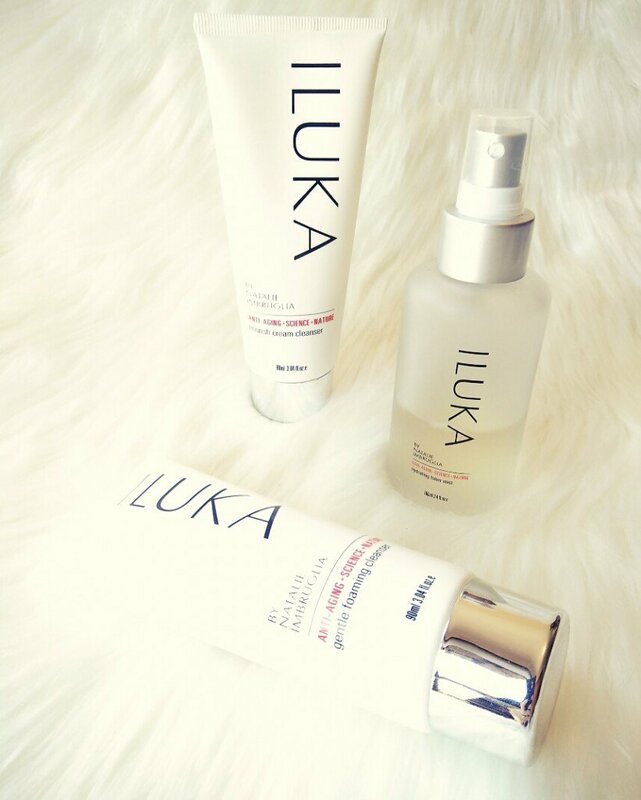 I have not been contacted by ILUKA Skincare by Natalie Imbruglia or her management team to endorse them.